A WAR veteran's widow has revealed the incredible response given by Prince Harry after palace aides attempted to cut short their conversation. 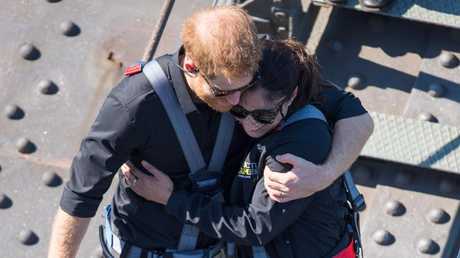 Invictus Games ambassador Gwen Cherne, whose husband Peter Cafe served in Cambodia, Afghanistan and Iraq before taking his own life earlier this year, was photographed in an embrace with the Duke of Sussex during his Sydney Harbour Bridge climb last Friday. The mother-of-three -who was one of the select few chosen to accompany Harry on the climb - told People magazine that the pair spoke of "grief and loss" before aides attempted to interrupt and hurry him along. But Harry wasn't having it, simply telling them: "I'm in the middle of a conversation, and I'm not going to leave this." "We were talking about my story and mental health and how difficult it is still, in our society, to talk about grief and loss and suicide," Ms Cherne, 41, explained. 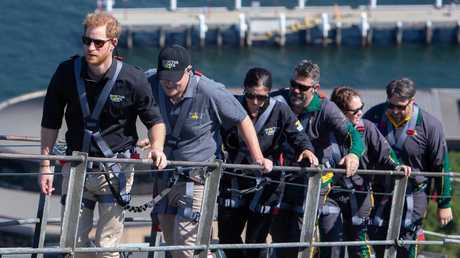 The royals have been touring Australia for the Invictus Games, a multi-sport event founded by Harry for wounded ex-service personnel, which is currently under way in Sydney. Ms Cherne said Harry and Meghan have provided a "beacon of hope and light for so many". "They're touching, they're shining that interest on the Games, and that shines light on their service and that shines light on the sacrifices their families make," she told the publication. "I was humbled by the opportunity to spend that time with (Harry) and grateful for all he is doing given his place in the world." The Duke and Duchess of Sussex will spend the day in Fiji today, after arriving yesterday afternoon and being greeted by thousands of royal fans. 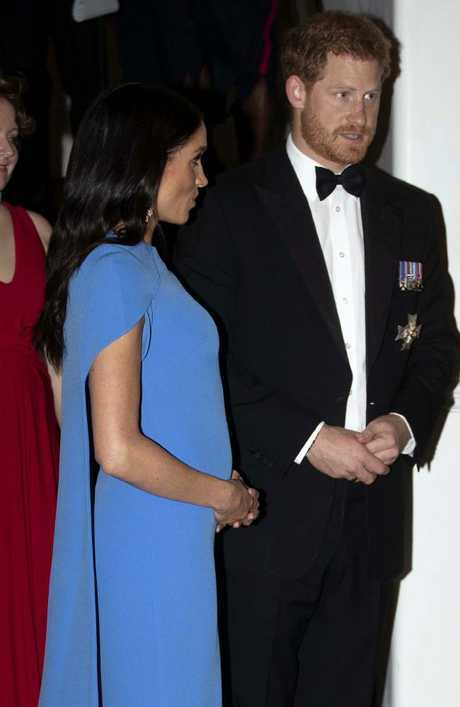 Last night, Meghan oozed Hollywood glamour in a full-length caped blue dress at a state banquet with Harry, clutching her growing baby bump as she met with the Fijian President and other officials. 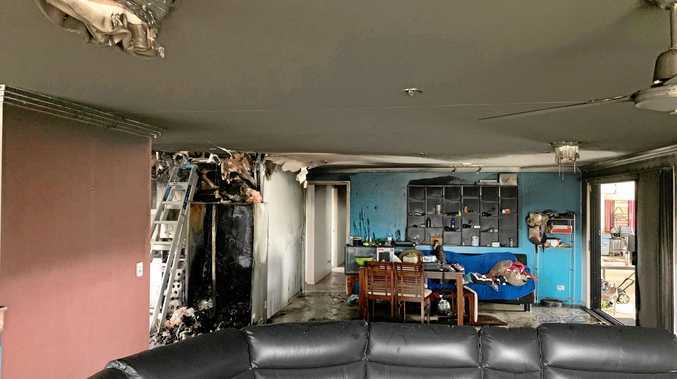 The couple is due to arrive back in Sydney on Friday afternoon.